Other IT Security reviews by real, verified users. Find unbiased ratings on user satisfaction, features, and price based on the most reviews available anywhere. 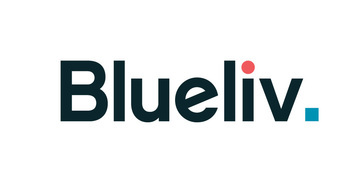 Blueliv is a leading cyber threat intelligence provider with a world-class in-house Labs team. We scour the web, the deep web and the dark internet to deliver fresh, targeted and actionable threat intelligence to organizations to protect their networks from the outside in. Our scalable cloud-based platform turns global threat data into sophisticated and relevant intelligence, enabling organizations to save time and resource by improving their incident response performance and empowering their Security Operations team with real-time intelligence. Configure a solution bespoke to your needs with a choice of ten modules. 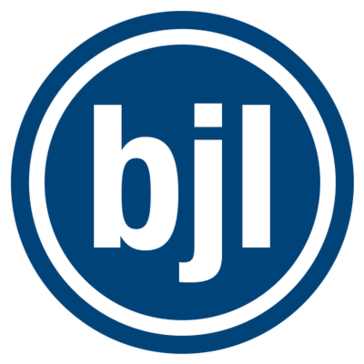 Boldon James Email Classifier provides to label emails in accordance with sensitivity. It provides that data protection from accidental loss, customers can ensure files and emails are only sent to those customers want to receive. Cloud based solution for secure calling through a library of tested algorithms. 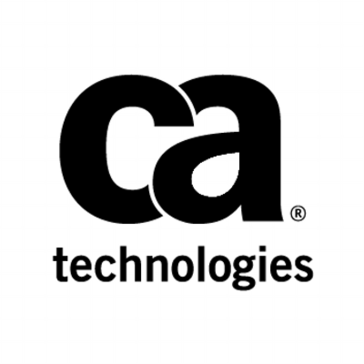 CA Transaction Manager enables you to implement a comprehensive 3D Secure program to provide your cardholders with robust eCommerce payment security, personalized one-to-one marketing and better customer service. With Change Auditor, you get complete, real-time IT auditing, in-depth forensics and comprehensive security monitoring on all key configuration, user and administrator changes for Microsoft Active Directory, Azure AD, Exchange, Office 365, Exchange Online, file servers and more. CalCom Hardening Solution (CHS) for Microsoft OMS is a server hardening automation solution designed to reduce operational costs and increase the server's security and compliance posture. CloudABIS is a scalable, cloud-based biometric matching system that removes the burden and cost associated with building and maintaining a reliable biometric identification system. CloudABIS supports fingerprint, finger vein, face and iris recognition. Crowd GPS scanner is a security app against unethical GPS tracking. Crowd GPS scanner examines the user's’ surroundings and ensures they are not being tracked with any such GPS tracker. DataNumen Access Repair(DACCR) is a powerful tool to repair corrupt Microsoft Access MDB and ACCDB databases. DataNumen Outlook Password Recovery is a FREE tool to recover password from encrypted Outlook PST files. If you forget the password of an encrypted PST file, then with this tool, you can easily recover the password and access the contents in the PST file. defencebyte Computer Optimizer is an outstanding Registry Cleaner and Computer Optimizer that integrates comprehensive technologies to analyze and rectify PC issues and registry malfunctions. It smartly maps and remove all unused entries in your computer's registry from past driver installation, faulty uninstallation, and failed software, and also enhances Windows startup time. defencebyte Privacy Shield is a robust way to delete all tracks and records of your activities, file usage, web browsing history, and chat records. It allows cleaning either all or some specific information upon choice, while enabling dummy information embedding with the history files. defencebyte Privacy Shield software leaves no footprints of your online activities, means no one will be able to track your web activities. DeviceMax MDM is a solution for enterprises that remotely monitor, control, and manage workforce mobile devices, to reduce support costs and business risks and protect corporate data on devices used by employees. DigitSec provides a tool designed to assess the security of Salesforce code and customizations. Dradis Framework is an open-source collaboration and reporting platform for IT security experts. Elastic Workload Protector is an automated cloud security solution that secures your cloud environment, your container environment, and your cloud workloads. Our solution includes the best security practices to protect hybrid infrastructures composed of traditional infrastructure, virtualized infrastructure, and Infrastructure as a Service (IaaS). Trend Micro Endpoint Sensor uses a lgithweight client to record endpoint activity and communication events at the kernel level. The sensor tracks these events in context across time, providing an in-depth history that can be assessed in real time by analysts. Nexthink gives you the power to analyze, visualize and act in real-time across all end-user computing data. Nexthink offers IT complete digital span of control by providing both a live and historical view of all endpoints, applications and user activities. ERPScan Security Monitoring Suite for SAP is helps identify, analyze and remediate all security issues with 360 protection against cyberattacks and internal fraud. It embraces three tiers of SAP Security while covering all aspects including: Platform Security (Penetration testing, Vulnerability assessment, compliance), source code review for custom ABAP, and JAVA programs, and SoD. FraudLabs Pro helps merchants to protect their online stores from malicious fraudsters. It screens all orders transacted using credit cards, PayPal, and so on for online frauds. As a result, it increases e-commerce merchant profits by reducing chargeback, improving operation efficiency and increasing revenue. Genian NAC is an IT management solution that provides people a seamless secure access experience, while facilitating compliance with policies, reducing the burden on IT resources, and thwarting security risks from inside and outside network environment. 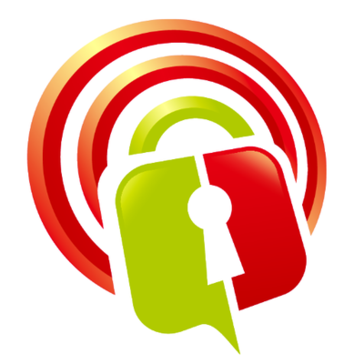 Gokiosk is a mobile device kiosk lockdown application to protect it from being misused. Hacker Combat is a platform that provides cyber security related information. Comox is HYAS' flagship online attribution intelligence toolkit, built for cybersecurity professionals including investigators in law enforcement and intelligence agencies, and forensic cybersecurity analysts in large corporations. Hyperion F1 10G RegEx File Scan is an FPGA-based Regular eXpression Processor (RXP), designed to be used as a CPU offload accelerator. It can deliver throughput acceleration up to 10Gbps aimed at complex pattern and string matching for file scanning and data analytic applications. Insight Express is an inexpensive software solution for small business enterprises. It provides one connection to a Concept 3000/4000 control panel and can be used on a single computer workstation. Ionic Security accelerates Internet trust by protecting and controlling data everywhere it travels and anywhere it resides, whether on the corporate network, in the cloud or on mobile devices. L7 Defense is a technology that identifies the most complex malicious “patterns” from the traffic that aren't even visible to other tools. Safeguard PDF Security is PDF DRM software that controls access to and use of your PDF documents. Logitout - Tracking Keys & Assets made easy with Logitout. You have lots of keys and assets that are lent out of your business daily, you need a system that can handle this data super-fast and super easy. With our easy-to-understand dashboard, at a glance you can see who has borrowed something, if it’s reserved or even overdue. The Logitout strategic solution is powered by our awesome features and dynamic modules. We have everything you need to smartify your business. Logitout saves your business time and money, we guarantee it. Logitout provides a solution that enhances the productivity of the business in its day-to-day processes. Companion provides Sales Force Automation and e-Detailing solutions for pharmaceutical companies. It solution empowers the systems not only in Technology but also produce insights to the businesses. Companion encompasses functional modules include the complete life-cycle of field force. Macroscop - software for IP-video surveillance systems, intelligent modules and NVR network video recorders. Protect your organization's information assets by allowing users to classify and label all emails at the point of creation. Software that helps you deploy SIEM quickly, simply, portably, and robustly, cutting your training and maintenance costs. Security Solutions for IBM i provides simplified compliance auditing, security monitoring and real-time protection for IBM i and iSeries systems. Our portfolio of IT security products covers the complete key lifecycle from production to operation of IoT devices. With MV AntiSpy you eliminate temporary files, dirt, items used by spies, cookies, history of executed files, history of visited pages, recently opened documents, traces and various other useless information of the system. Novacoast is an IT professional services and product development company. NTFS Security Management Suite is a powerful NTFS permissions reporting tool that gives you complete control and flexibility to audit and report NTFS permissions on folders and files across your organization. Modern access control solution for the office that doesn’t want to compromise convenience or security. OpShield is an OT cyber security solution that delivers visibility across complex OT networks, enforces OT policy at the protocol command level and deploys. OwnyIT is a suite of different IT security software. 4tech Software® created the PANfinder™ data discovery tool to help companies achieve PCI-DSS compliance. Plexus is a smart contracts platform to help businesses sign smart contracts using real-world identity. Prestashop block user/bot by IP, country or user agent module helps to ban the unwanted traffic from spam bots and users based on their IP, country and user agent. Hi there! Can I help you find the best Other IT Security solutions?